Fixed Rate or Tracker Rate Mortgages? As a follow up to the previous article on fixed or tracker rate mortgages we have found it has attracted a number of enquiries and also a lot of questions. This was just what we hoped the article would do so updating and going into a little more detail now we are at the end of the 1st quarter seems a good idea. Firstly I must admit that it is now looking like my prediction of a spring rate rise of .25% is wrong. It now looks more like late summer and early winter however the initial .75% prediction by Christmas is still on the cards. This also does not actually affect our advice to many of our customers and indeed the majority are still taking tracker rates but we have now advised many clients to go with a lender offering a swap feature to a fixed rate as a backup. As of the end of March 2011 tracker rates are starting as low at 1.49% above the Bank of England Base rate giving a starting rate of 1.99%. There are also lifetime Tracker rates available starting at around 1.99% above the bank of England rate giving mid to late 2% payment rates. These deals require big deposits and fantastic credit rating etc but even on higher loan to values deals and lower credit ratings you can still get some great rates. This means that even with Predicted rate rises of 1.5% over the next 2 years your payment rate would be in the 4% area so compared to 3 years ago very low. The current good 2 year fixed rate deals start in the low 3% area, 3 years deals in the late 3% area and the current 4 & 5 year fixed rates are in the mid 4% to 5% area. These have risen rapidly from pre Christmas when we were getting 5 year fixed deals at 3.99% without too much trouble. In an article like this we cannot give advice, that can only be done by completing a fact find with us and doing what Mortgage advisors do and assessing everything as everyone is different, however here is a guide. Fixed rates are going to give you a fixed budget that will not change till the end of a fixed period. Many First time buyers need this so they can budget, and it is also perfect for people who have a tight budget and cannot afford the payments if the rates increase too much. The down side on the shorter term fixed rate mortgages is that on most deals available you pay a higher rate than the tracker, and if rates increase as predicted the tracker rate will just catch up with the Fixed as the fixed ends leaving you on a tracker anyway just as you need it fixed. So in many cases the longer term fixed rates seem better value and indeed that is what most of our fixed clients want. In the last few weeks the demand for tracker deals has increased so the good old British banks have increased the rates on them. That said limited funds still keep popping up for short periods of time that really are great buys. There are also a couple of lenders offering a swap and lock type mortgage meaning you can take a lifetime tracker and if in 6 months you have a panic attack and wish you fixed instead you can swap without penalty to a fixed. (Terms and conditions apply of courseJ). This evening I have read a few articles from the money magazines about the subject of fixed or tracker and none give an answer, one even had 10 industry experts give their opinions and just about all of them managed to find a different answer and the reason is that everyone is different and has different needs. The only way to get an actual answer is to speak to a Whole of Market Broker who will talk it through with you and find the best deal for your needs. We can do that if you call 0845 500 3332 or ask for a call by completing the enquiry form. Its free impartial advice so you have nothing to lose. However as a summary, if you are looking for a mortgage that you don’t need to lose sleep over every time a paper prints a headline “RATES RISING TONIGHT”. Then there are some good long term fixed rate deals available. If however you want to enjoy the low rates we have now and can afford a few percent rises if it does all go a bit mad in the coming years we feel many of the tracker deals are exceptional value especially if they offer a swap feature as well. Give us a call and we can chat it through. Mortgage rates can go up as well as down. 1. The above figures assume an annual reset type mortgage which recalculates mortgage payments once a year. As such they may slightly overstate the monthly payments for more flexible mortgages, offering monthly or even daily recalculation of payments. 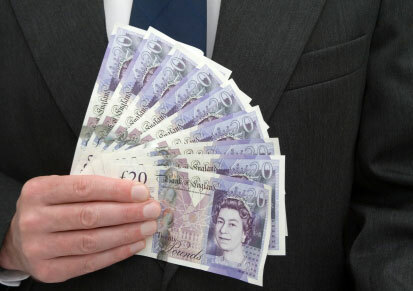 Rest Assured Mortgages does not charge fees for its service, we are paid a commission by the provider. Think carefully before securing other debts against your home. Your home may be repossessed if you do not keep up repayments on your mortgage. The guidance and/or advice contained in this website is subject to UK regulatory regime and is therefore restricted to consumers based in the UK.